If you are a senior executive who wants to develop their role as a coach in a fast-track, highly supported environment then the Beampines Masters Degree in Executive Coaching may be for you. Masters Degree in Executive Coaching was developed and launched as the first executive coaching degree in North America and is currently in its 4th year. 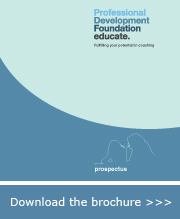 It is aimed at senior executives who wish to develop their role as a coach. It is an intensive programme, where candidates are supported through taught and professional development components by a dedicated Master Coach. This enables the highest degree of relevance to a learner's needs and learning style.